The first half of 2019 ‘Anti-Corruption and Integrity Education’ is scheduled to be held at UNIST on April 26, 2019. 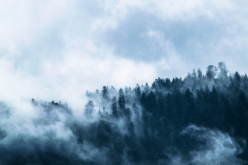 This is aimed at raising awareness of the importance of ethics and inte..
Center for Fine Particulate Matter (CfPM), jointly with Ulsan Citizen Safety Forum will be holding a special forum on fine dust pollution from 3pm on April 24, 2019. 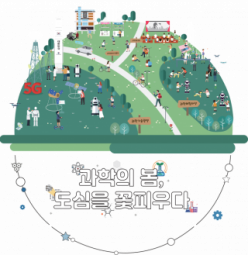 The forum deals with issues relati..
A science festival showcasing the latest technology and the leading edge in science kicks off in downtown Seoul from Friday, April 19 to Tuesday, April 23, 2019. On the eve of the festival, a variety .. Downtown of Seoul, Seoul Madang, etc. 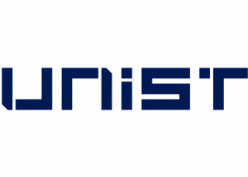 UNIST IP Management & Commercialization Team will be holding a special lecture from 12 to 1pm at a lobby on the first floor of UNISPARK(306). This lecture will be delivered by Director JaeMoon Kim..
UNIST IP Management & Commercialization Team will be holding a special lecture from 12 to 1pm at a lobby on the first floor of UNISPARK(306). This lecture will be delivered by Team Leader Ho Kim ..
A public hearing on the enactment of the presidential nomination committee regulations is scheduled to be held from 4 to 6pm in Room #U110 of Natural Science Building on April 11, 2019. This public he.. The 4th 2019 Spring Seminar for the School of Materials Science and Engineering is scheduled to be held on April 4, 2019. 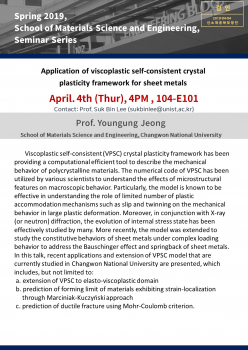 Professor Youngung Jeong in the School of Materials Science and Engineering at.. 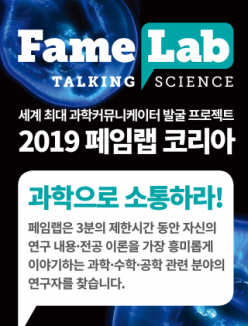 The regional preliminary competition for 2019 FameLab Korea (Yeongnam Region) is scheduled to be held at UNIST on Thursday, April 4, 2019. The competition is open to everyone studying or working in ST.. 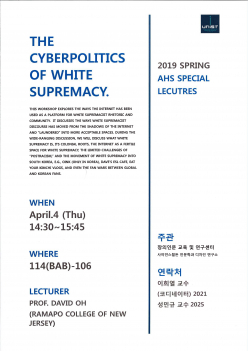 The 2019 Spring AHS Special Lecture Series will be held at UNIST on Thursday, April 4. The lecture, entitled “The Cyberpolitics of White Supremacy” will be presented by Professor David Oh from .. 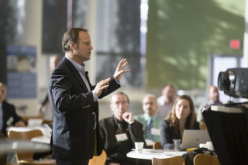 The 4th DHE Spring Seminar is scheduled to be held on Thursday, April 4, 2019. 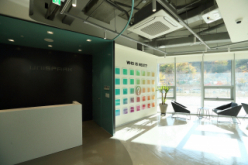 After the seminar (12:00 ~ 1:00 pm), There will also be a short public talk about the StyleShare app. The users of Style..